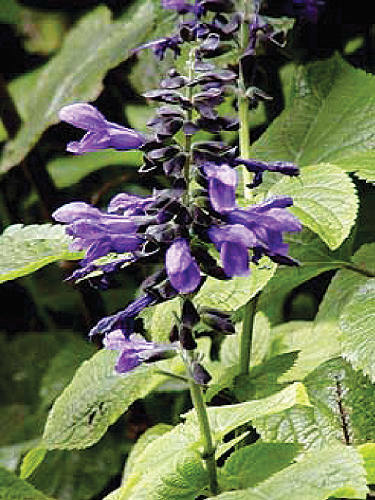 (Anise-scented sage; Guarani sage) This is the best of the sages for attracting hummingbirds. Praised for its brilliant deep blue and black flowers on 38cm/15” spikes appearing from early summer until frost. Ht. 1-1.3m/3.5-4.5ft.